Well for those of you who said, ‘Why on earth would you go to Enngonia?’ (that was the censored version) let me just fill you in on our little piece of Paradise beside the Warrego River. On arrival, it became obvious that, following the previous cop’s departure, a family of squatters had moved in and taken up residence – in the loo. Yes! I’m talking large green 4-legged squatters – requiring a bit of persuasion (plus plastic bags) to encourage them back into the yard. Author KayePosted on July 2, 2007 September 26, 2016 Categories Enngonia, Enngonia 2012Leave a comment on Going Bush Again! Hi to all from sunny Enngonia. It amazes me that we live so close to the Queensland border and yet my fingers are frozen! When we first arrived, the fireplace had quite a workout thanks to some free Gidgee wood from one of the local station owners but sadly that wood has now run out. Sunny skies don’t necessarily equate to warm temperatures and it’s actually bloody freezing, causing us to retract all the nasty, scoffing remarks about never being seen dead in a Snuggie and admit that in fact, we’re both sorry we don’t own one. I’m sitting on the lounge, typing rather awkwardly at Nigel’s laptop, which is on the coffee table – not the most ergonomic of positions but unfortunately my desk top computer is broken and beggars can’t be choosers. 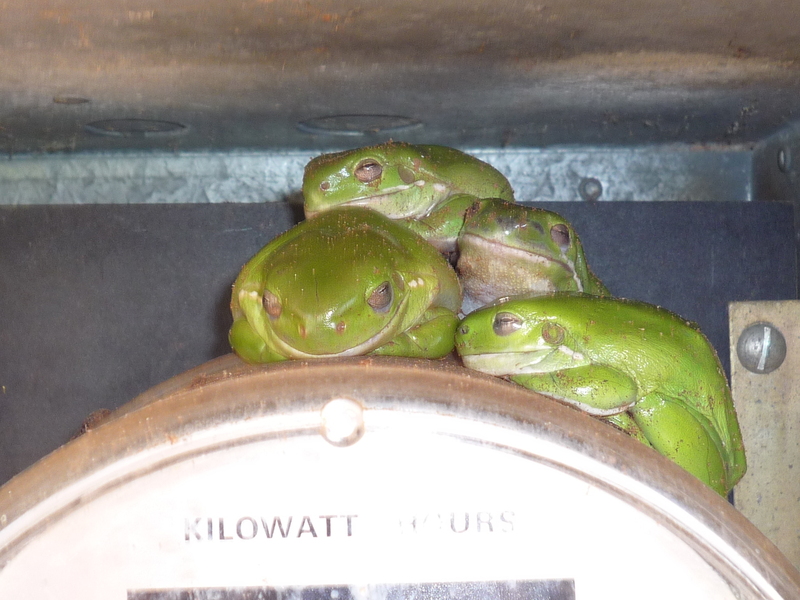 It seems that there are gremlins in our meter box (not to mention frogs) because in the space of a week we’ve lost our clock radio, microwave, washing machine and now, computer. 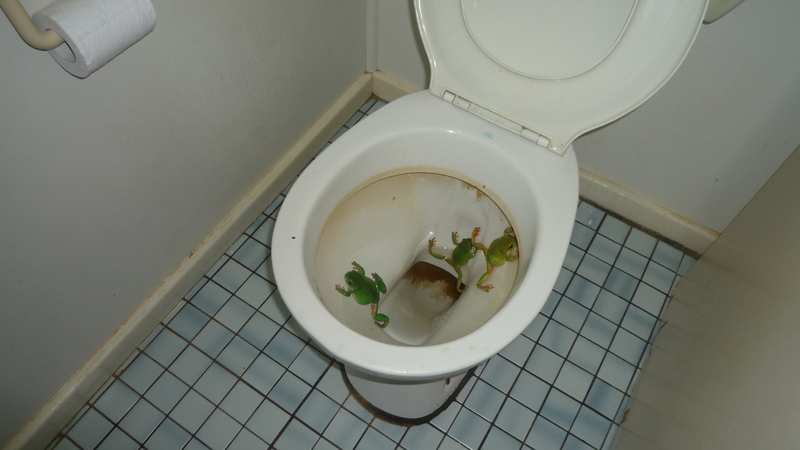 It’s coming into frog time and as much as I love the green ones, I have a problem with the idea that they will one day share the toilet with me and keep me awake with their rather loud mating calls. Author KayePosted on April 11, 2007 November 1, 2016 Categories Enngonia, Enngonia 20121 Comment on Who let the frogs out?